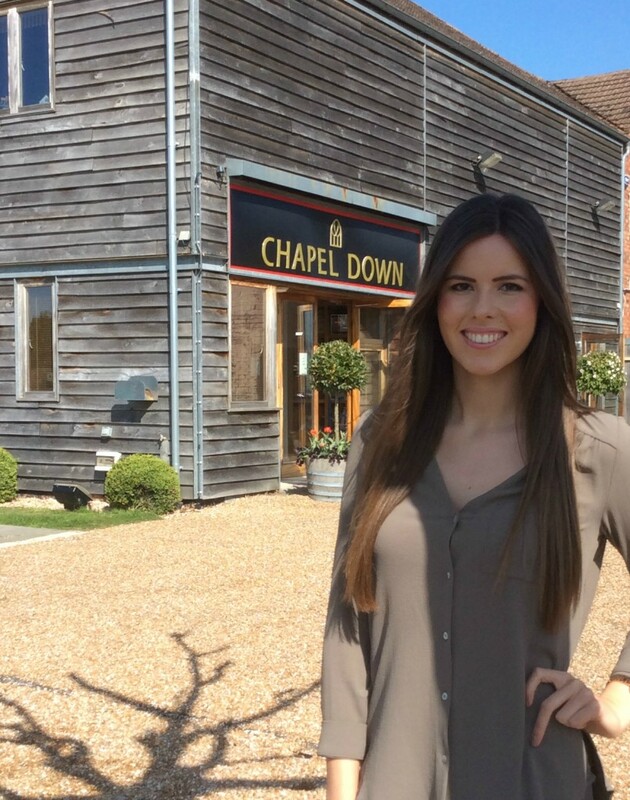 KBS is proud to announce that Chloé Davis (BBA Business and Management 2014) recently gained a full-time role at Chapel Down Winery after presenting marketing solutions to the company at the KBS’ ‘Pitch It!’ challenge in 2013. Following her success at KBS’ ‘Pitch-It’, Miss Davis undertook a graduate placement with Chapel Down to relaunch the company’s “Wine Society” and implement a loyalty card system. Miss Davis, KBS Student of the Year (2013) was subsequently invited to support the winery during a royal visit from HRH The Duchess of Cornwall in 2014 before securing her full-time role. For more information about how KBS works with local businesses such as Chapel Down Winery, please contact the KBS External Services Team on 01227 824068 or kbsBusiness@kent.ac.uk.